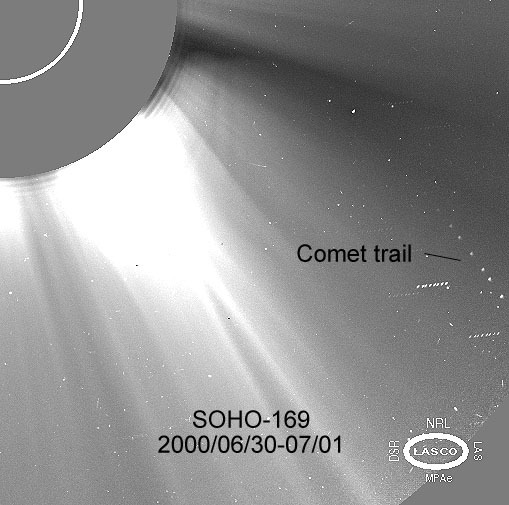 In summer 1999 I was very surprised to find the name of Terry Lovejoy of Australia - a well known visual observer of comets - mentioned as the discoverer of comets which were found in data of the SOHO spacecraft. 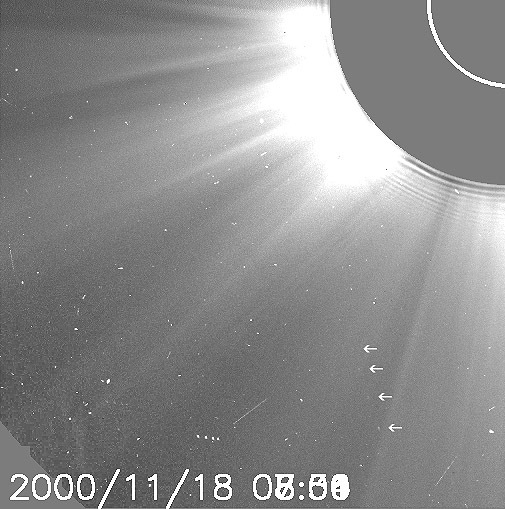 I started to look occasionally at the real time images which can be found on the net but did not find anything. 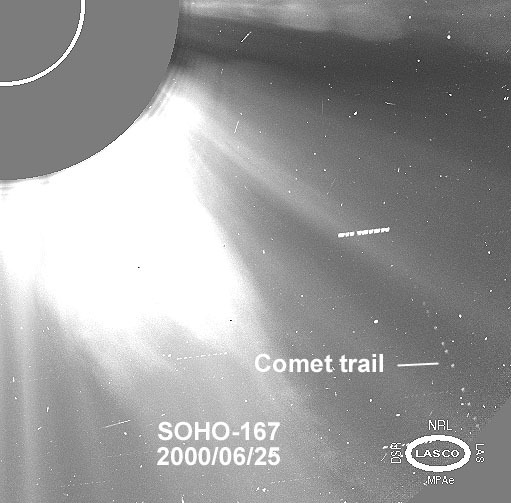 Then, in January 2000, I started to search more thoroughly and found my first SOHO comet on January 29, 2000. 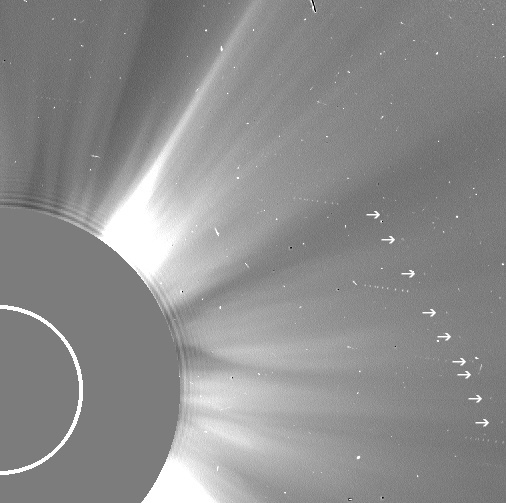 Since then I have found a lot more - most of them together with other amateurs from all over the world. 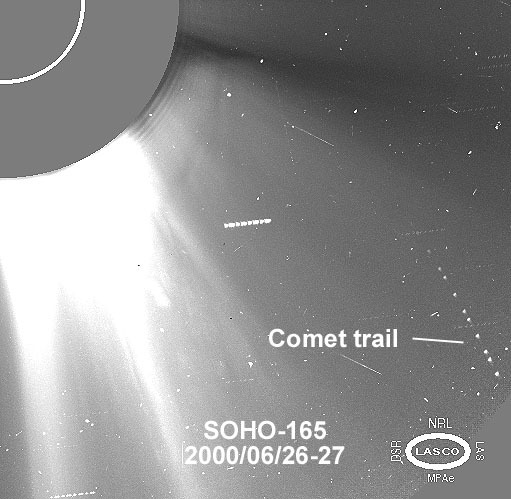 Most of these comets are members of the Kreutz group. 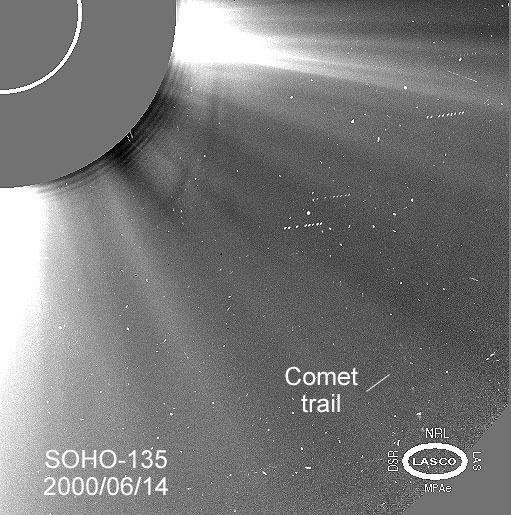 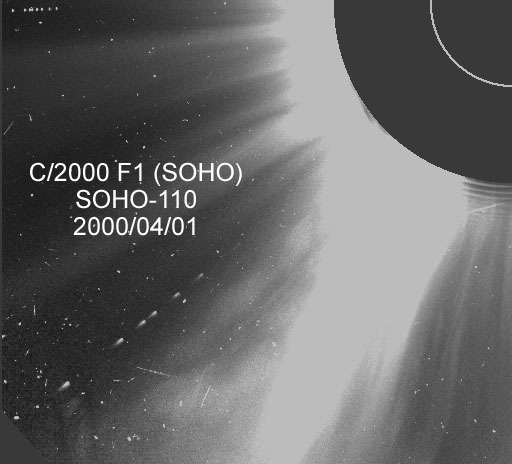 More about SOHO's comet discoveries can be found on the Sungrazer Homepage by Doug Biesecker and on the BAA Homepage by Jonathan Shanklin. 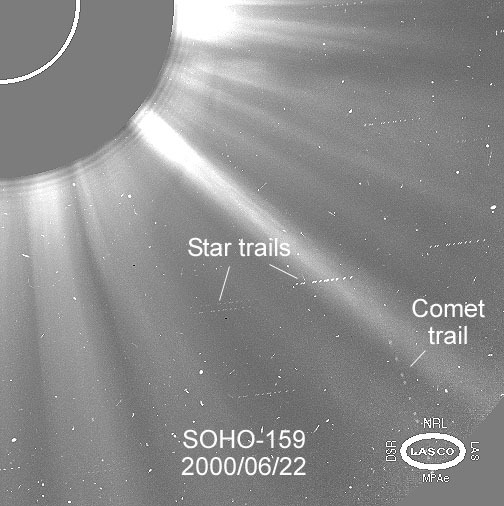 All comets are members of the Kreutz group if not stated otherwise.